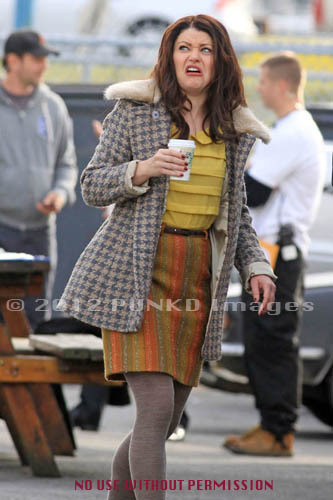 Emilie de Ravin on set. Emilie de Ravin on set. Wallpaper and background images in the Однажды в сказке club tagged: once upon a time season 2 emilie de ravin belle lol funny on set ouat. This Однажды в сказке photo might contain hip boot and thigh boot.